Mirjana Gojkov-Vukelic, Sanja Hadzic, Amira Dedic, Rijad Konjhodzic, Edina Beslagic. Conclusions: Based on the obtained results, we concluded that diode laser irradiation reduces the number of active periodontal pathogens. We believe that the use of diode lasers, as a supplementary method in the treatment of periodontal disease, is extremely useful and efficient, and can be recommended as part of standard clinical practice. 1. Stimulatory Effect Of Low-Level Laser Irradiation On The Proliferation Of Human Periodontal Ligament Fibroblasts(PDLF). Angelov N, Pesevska S, Nakova M, Gjorgoski I, Ivanovski K, Angelova D, Hoffmann O, Andreana S.
Photomed Laser Surg. June 2009; 27(3): 477-552. General Dentistry. Nov/Dec 2008: 612-616. 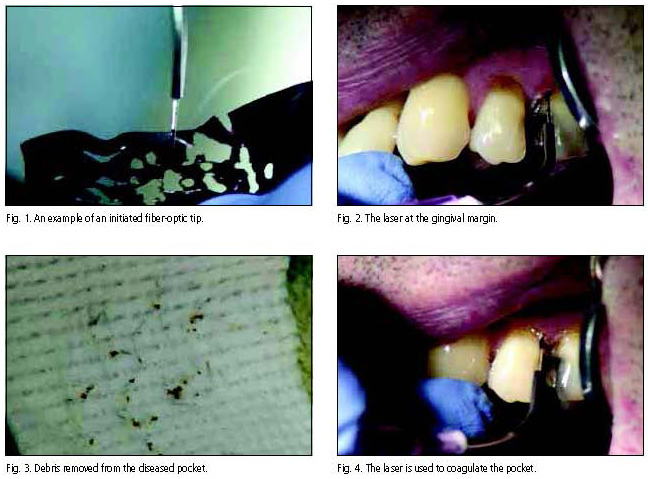 Journal of Laser Dentistry, Compendium of Laser Dentistry. 2008. 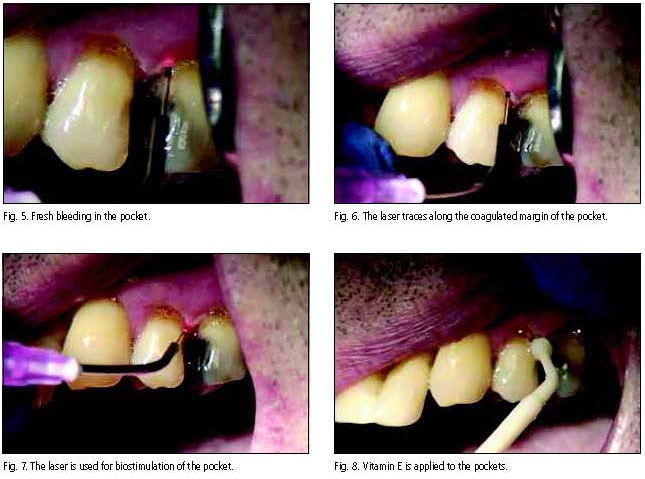 Concepts in Laser Periodontal Therapy. 2005. Dentistry Today. Feb. 2003; 22(2): 1-4. Dentistry Today. May 1998; 17(5):1-3. Wigdor HA, Walsh JT Jr, Featherstone JD, Visuri SR, Fried D, Waldvogel JL. FDA Consumer Magazine. Jan-Feb 1995. Practical Periodontics and Aesthetic Dentistry. August 1997; 9(6):1-9. Polansky R, Haas M, Heschl A, Wimmer G.
J. Clin Periodontol. 2009; 36: 575-580.
de Oliveira RR, Schwartz-Filho HO, Novaes AB, Garlet GP, de Souza RF, Taba M, Scombatti de Souza SL, Ribeiro FJ. Sobral MA, Lachowski KM, de Rossi W, Braga SR, Ramalho KM. Photomed Laser Surg. Oct 2009; 27(5): 709-713. 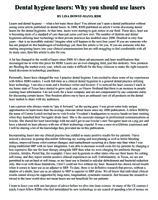 Internal Journal of Periodontics & Restorative Dentistry. Nov. 2007; Vol.27: 577-587.